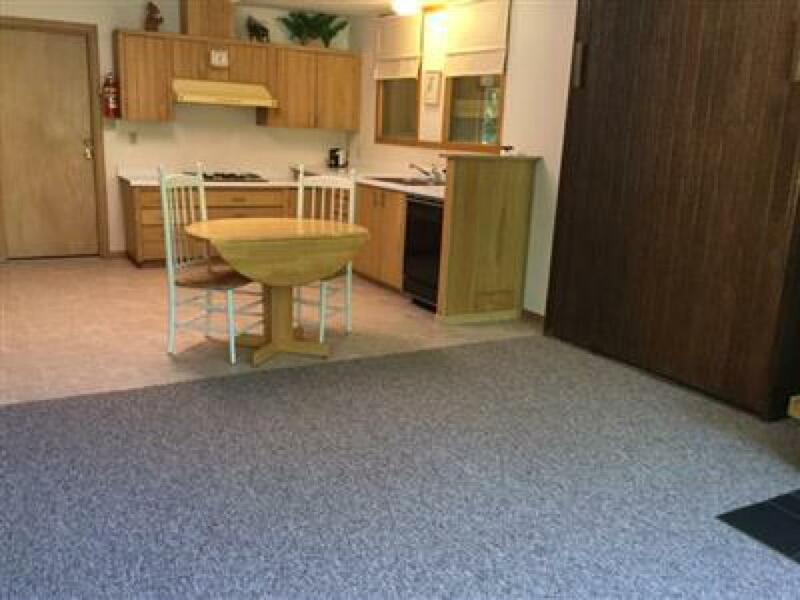 You will love where we live! 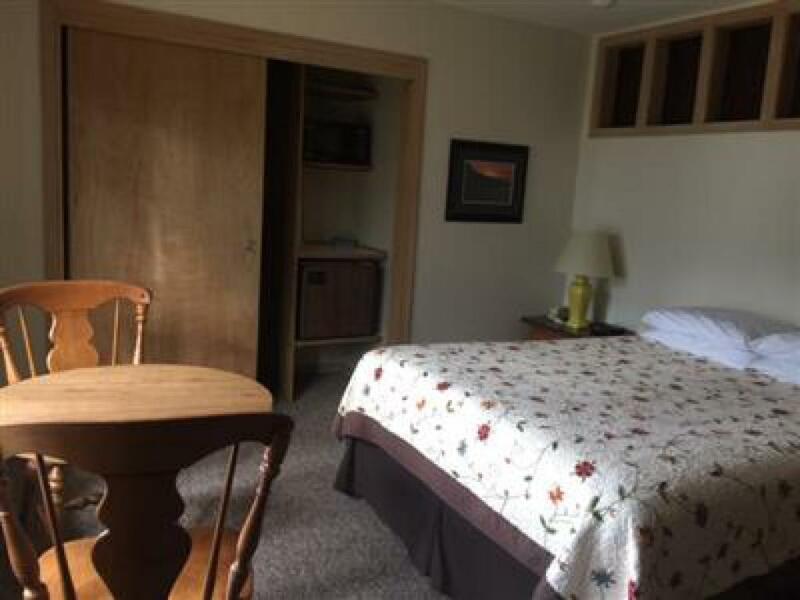 This is our largest suite and will comfortably sleep up to six guests. 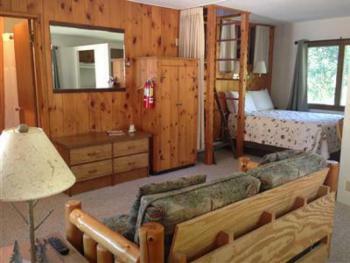 It has one bedroom with a queen, another with two twin beds and a sofa sleeper in the living room. 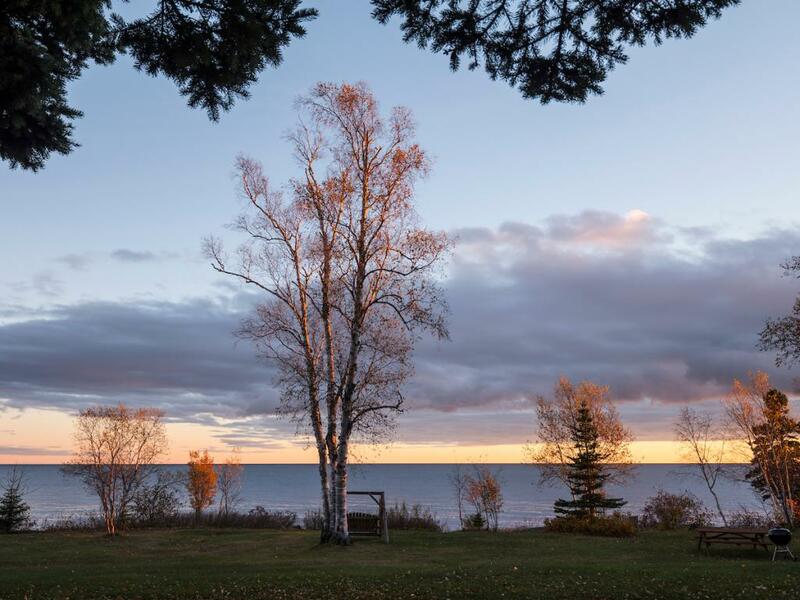 A beautiful view of Lake Superior can be seen from the kitchen, dining and living room. 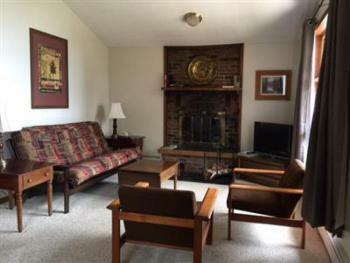 The wood burning fireplace offers a cozy atmosphere while you are relaxing here on the North Shore. Firewood must be purchased on site for an additional fee. 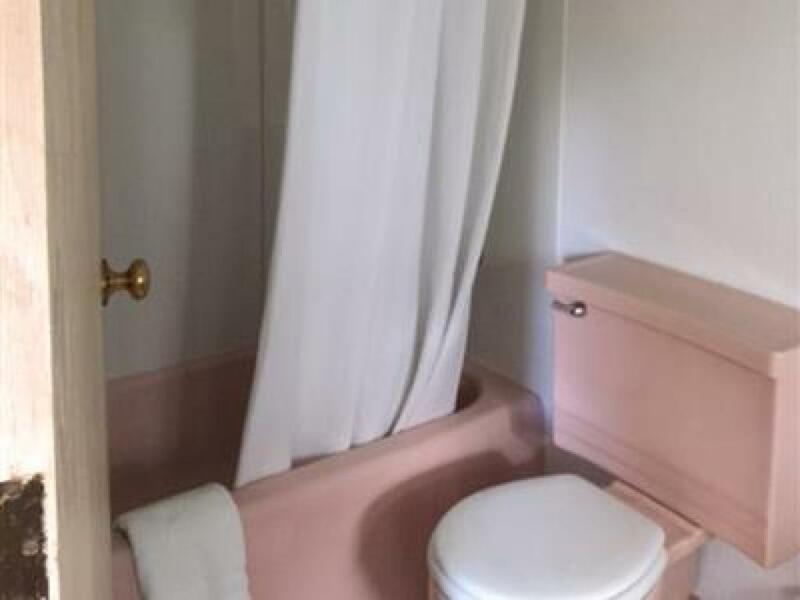 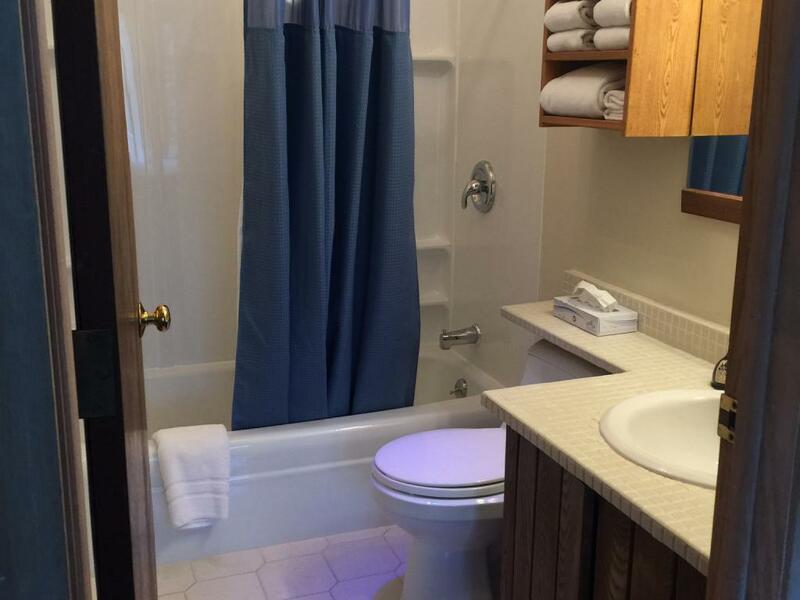 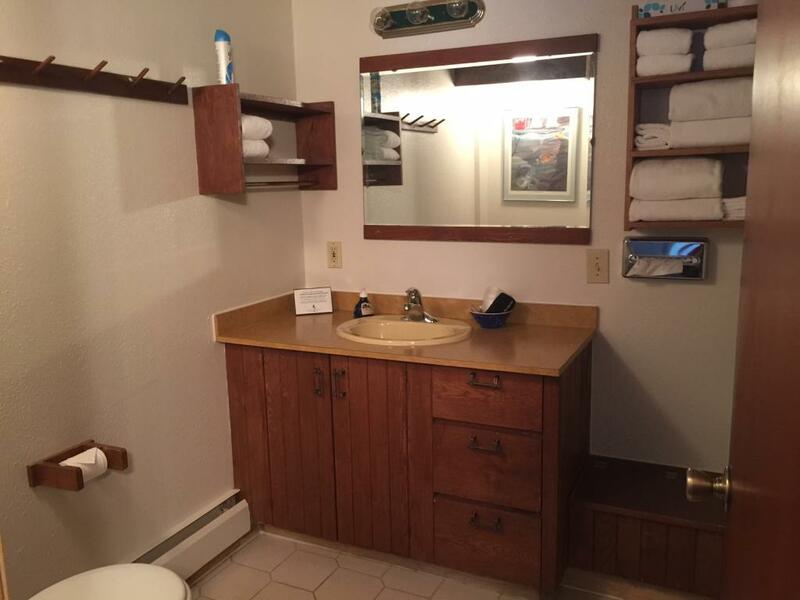 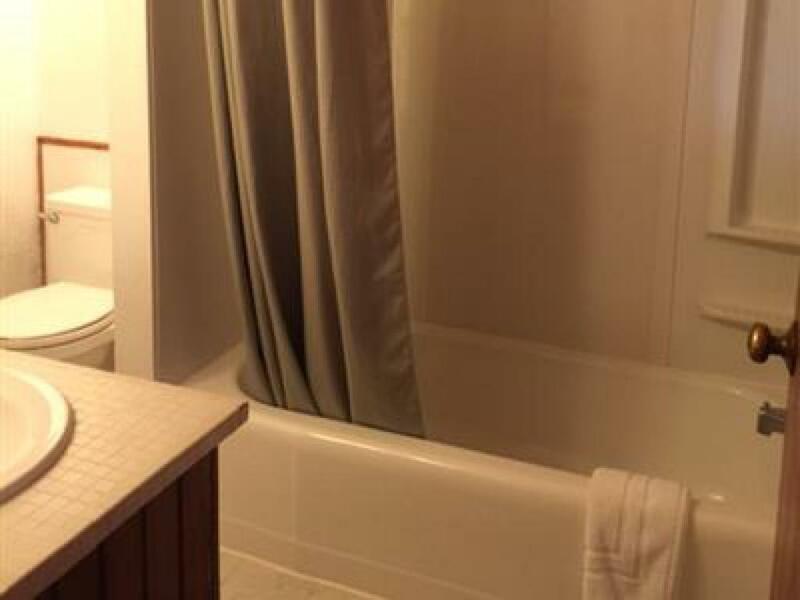 This suite also has a full bath, TV, and telephone. 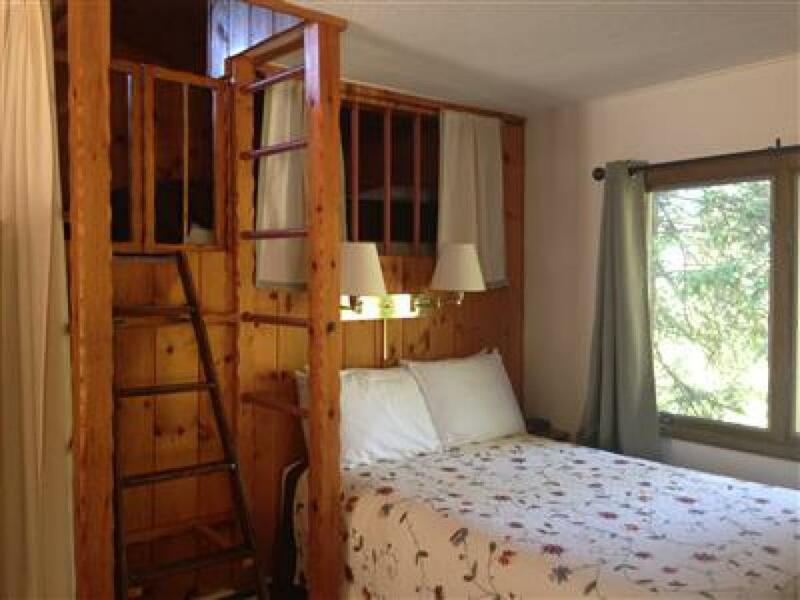 A definite family favorite with a loft for the little or big kids at heart. 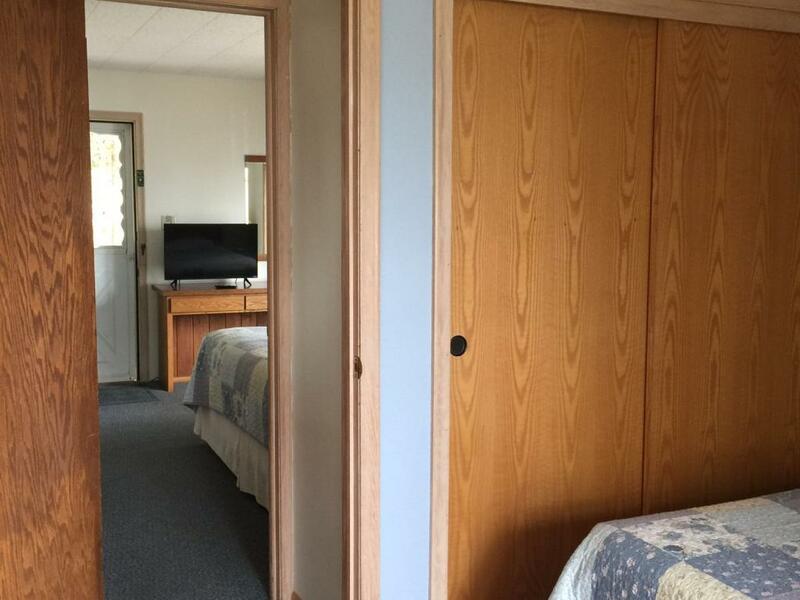 Privacy in sleeping areas is limited as they are separated by curtains. 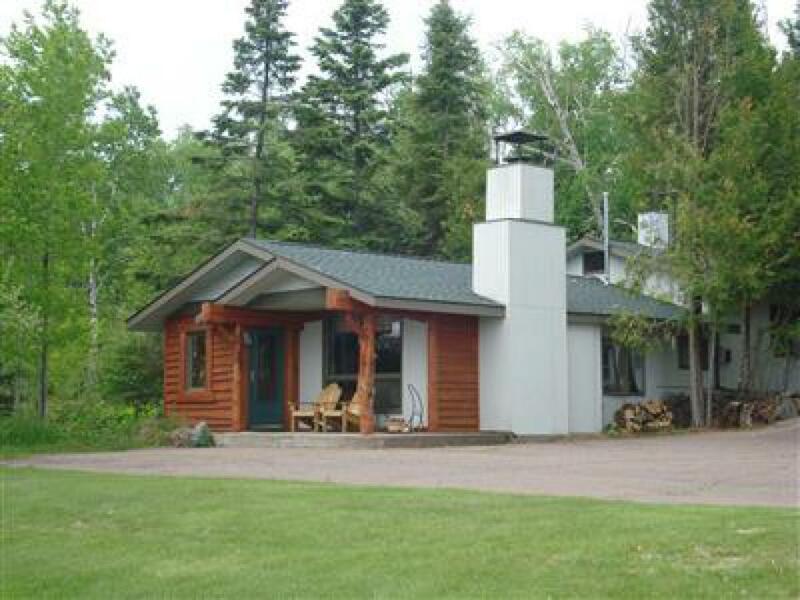 A very cozy cabin like feeling with the wood paneling, loft, combination Lake Superior and wooded view. 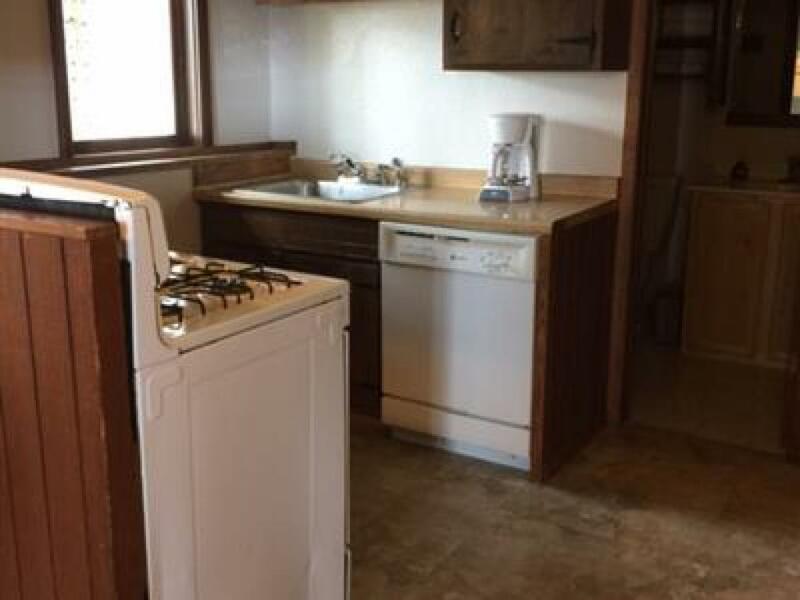 This unit has 2 full size beds and one full size sofa sleeper, a kitchen, full bath, TV and telephone. 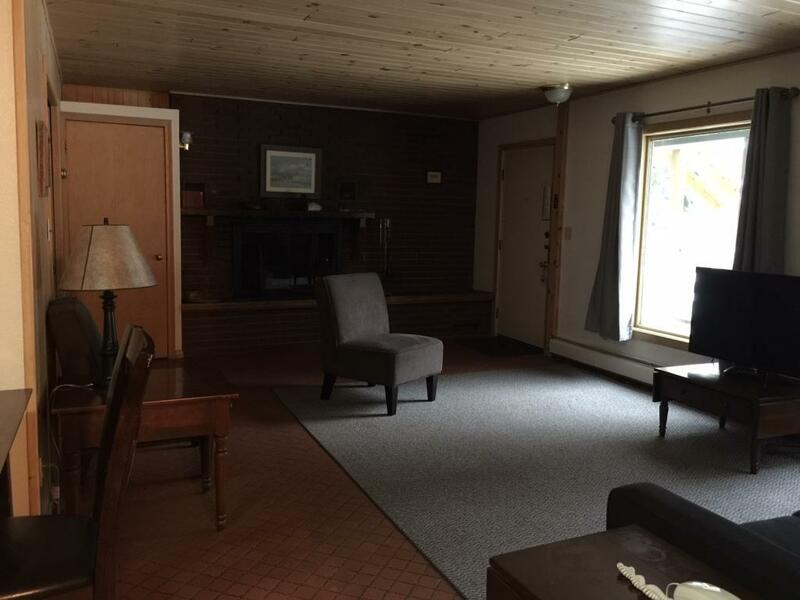 It is part of our separate guesthouse. 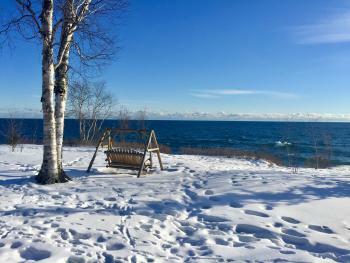 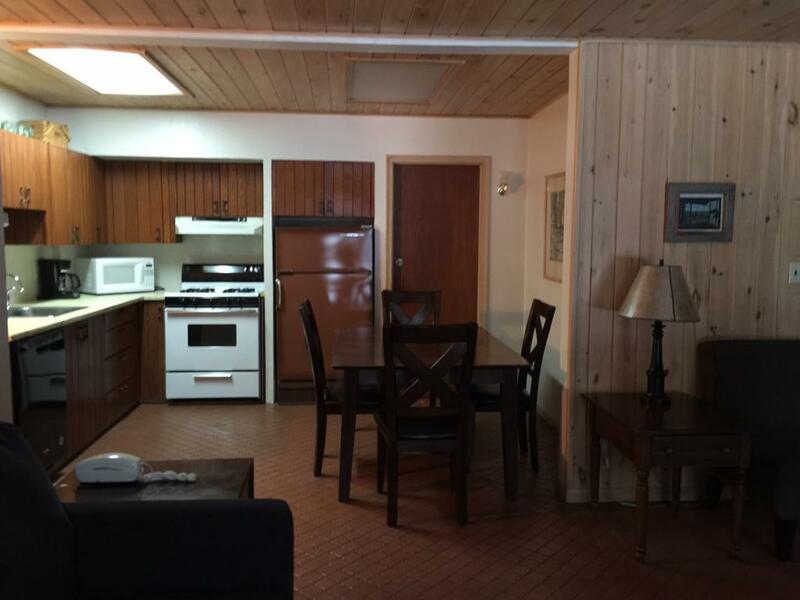 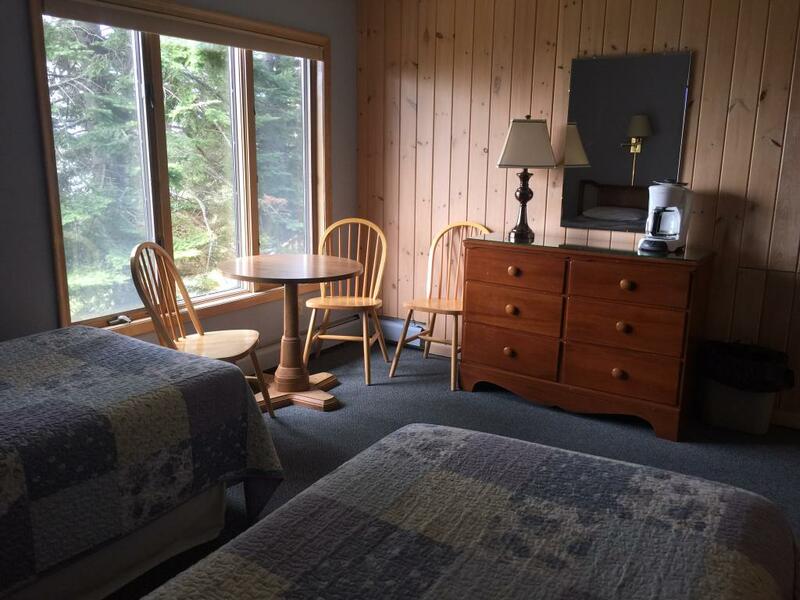 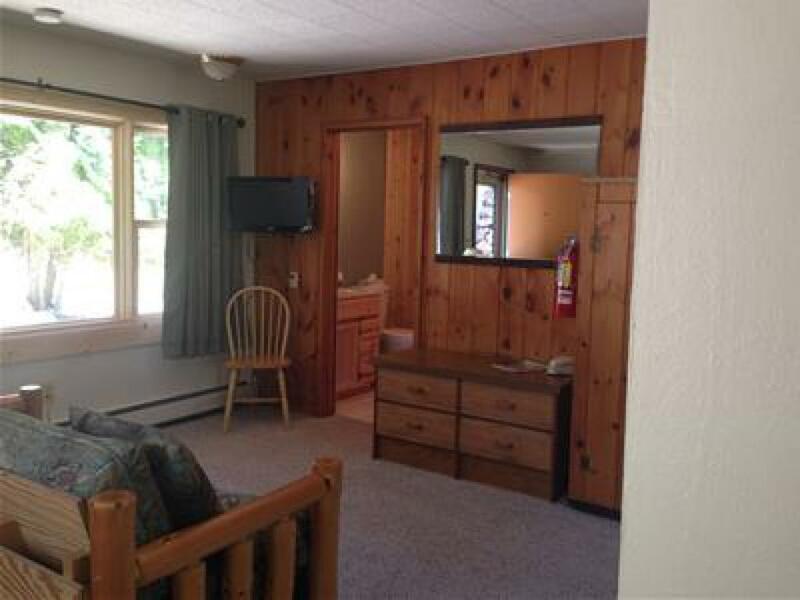 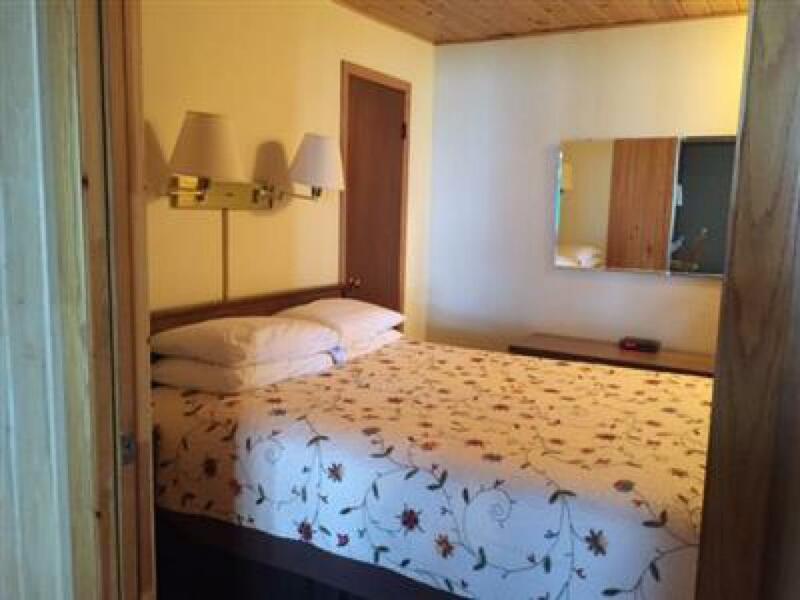 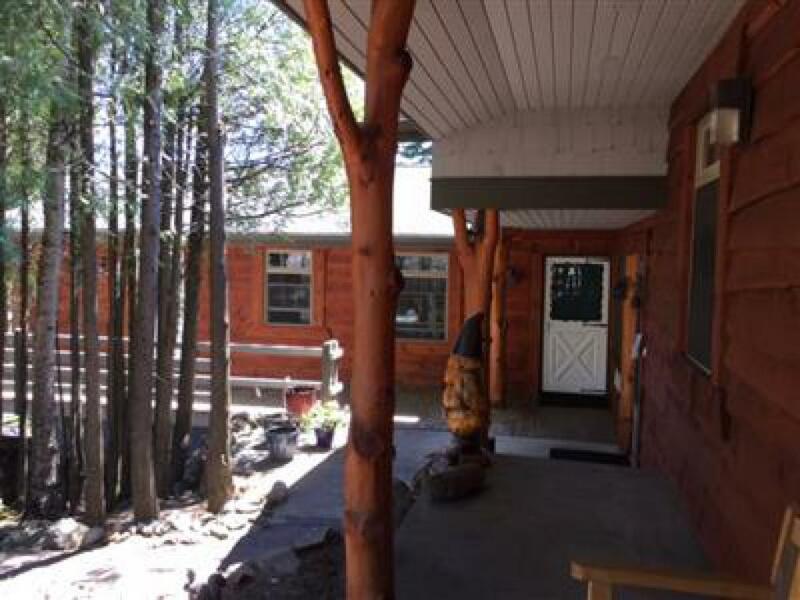 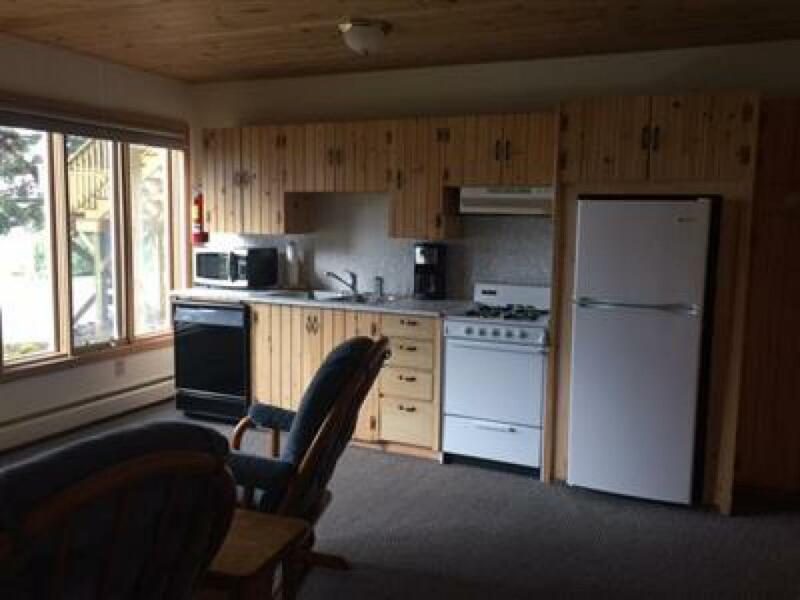 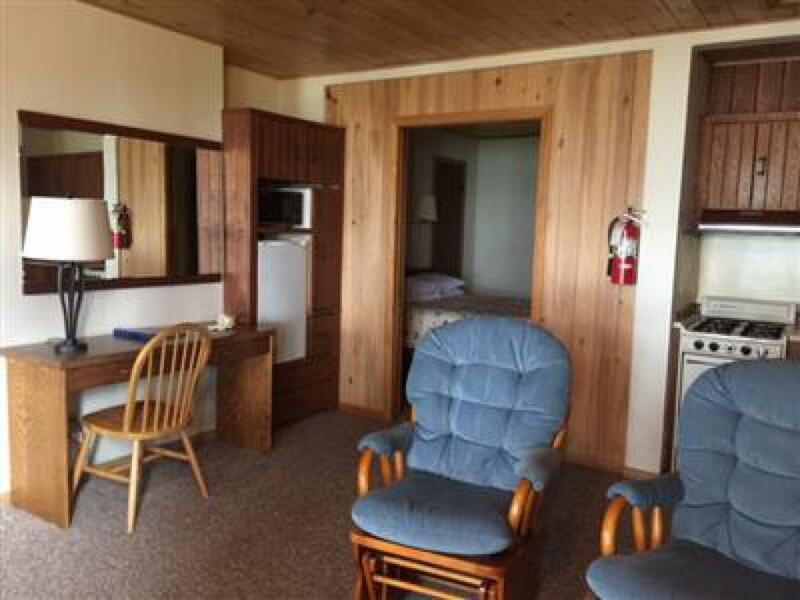 Unit 7 is our most cabin-like unit with an awesome view of Lake Superior. 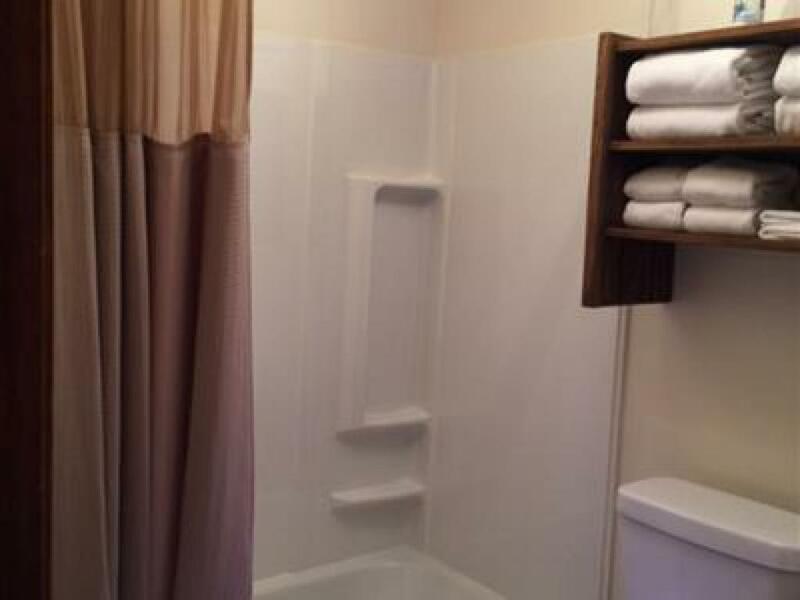 It is the front unit of our guesthouse. 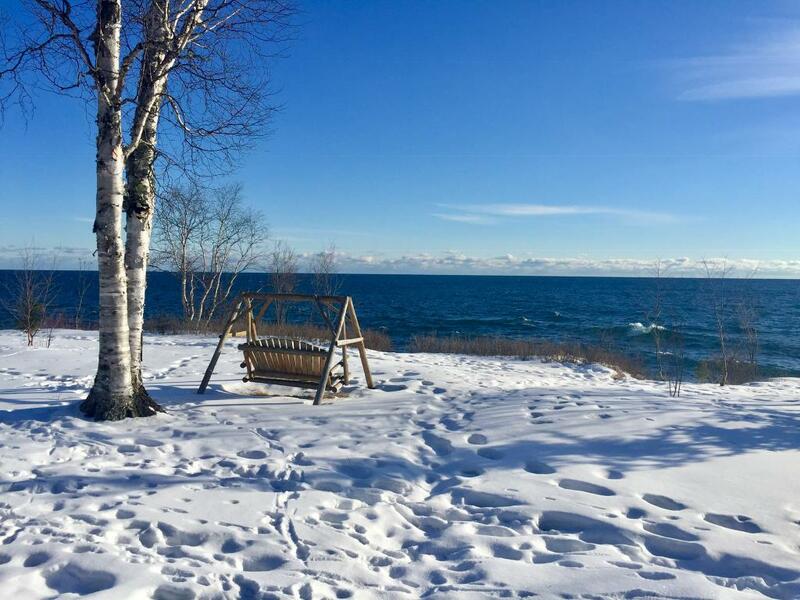 Imagine yourself sitting on the patio listening and watching the waves pounding on the shoreline or experiencing the peace and quiet that is present too. This unit sleeps 1-6 guests with a queen size bed in the bedroom, a full size murphy bed and a futon sleeper in the living room with a wood burning fireplace. 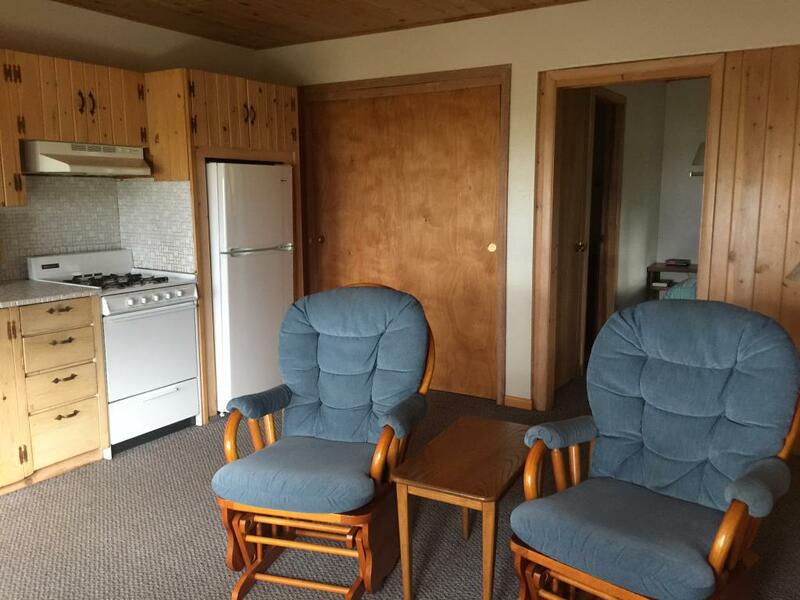 Firewood must be purchased on site for an additional fee. 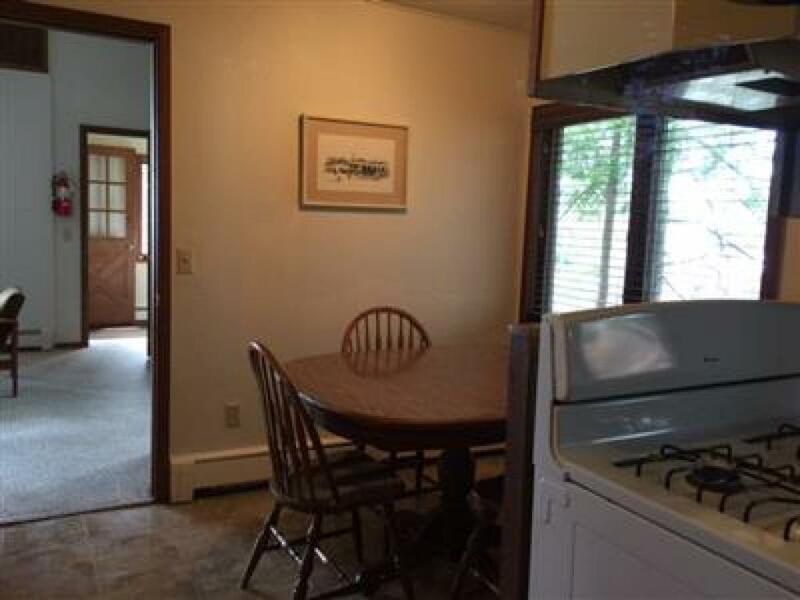 There is a kitchen, dining room and full bath. 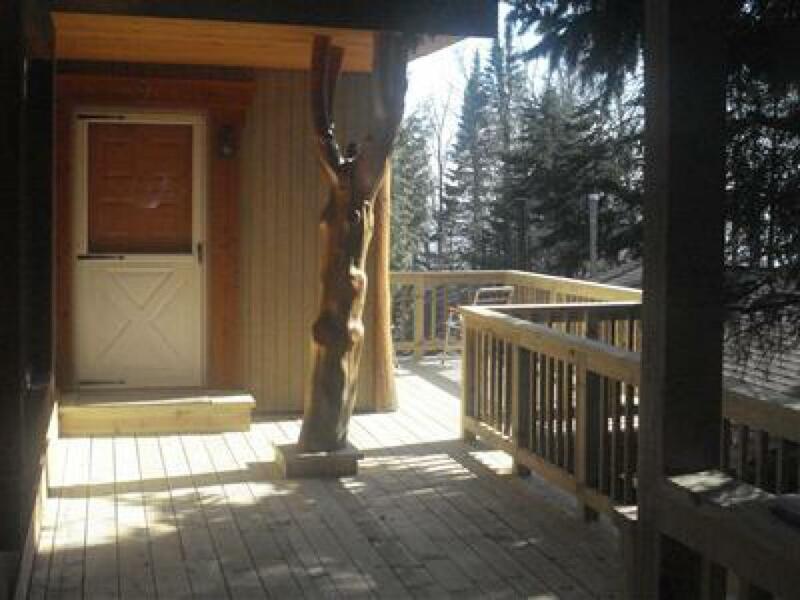 This unit is our most economical and has a wooded view. 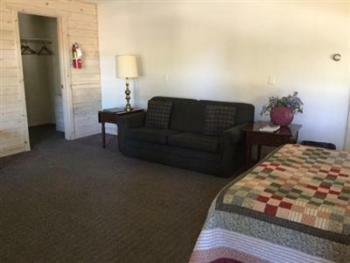 It is equipped with a queen bed, full bath, microwave, refrigerator, TV, telephone, and coffee maker. Unit 10 is a studio apartment with a wooded view. 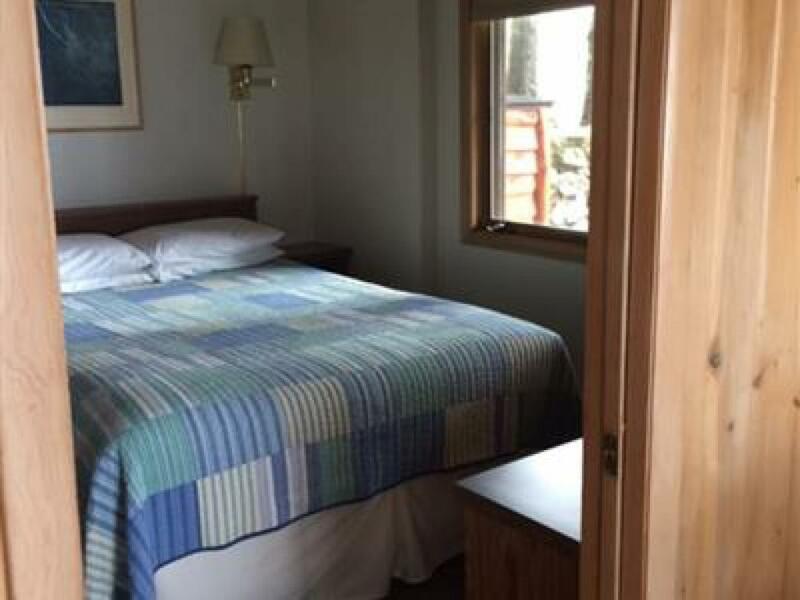 This unit is equipped with everything you need for a relaxing stay on the North Shore. 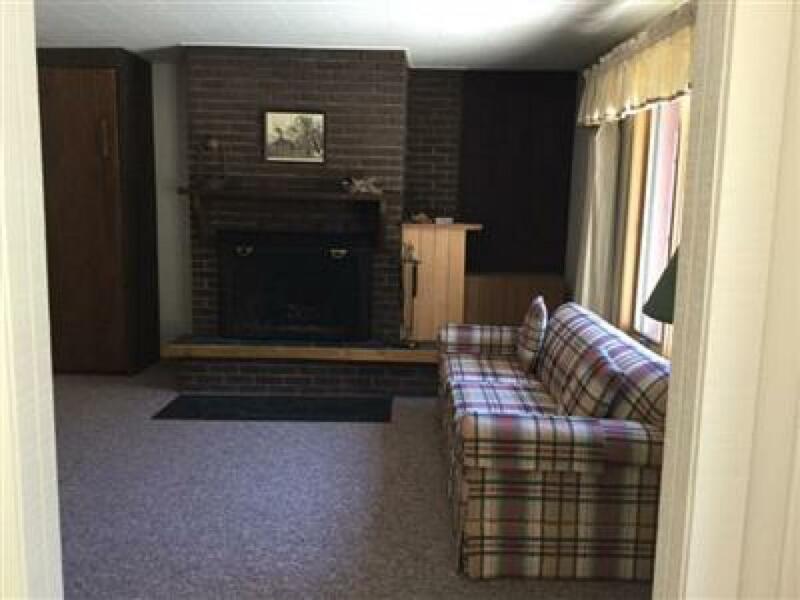 Enjoy the wood burning fireplace. 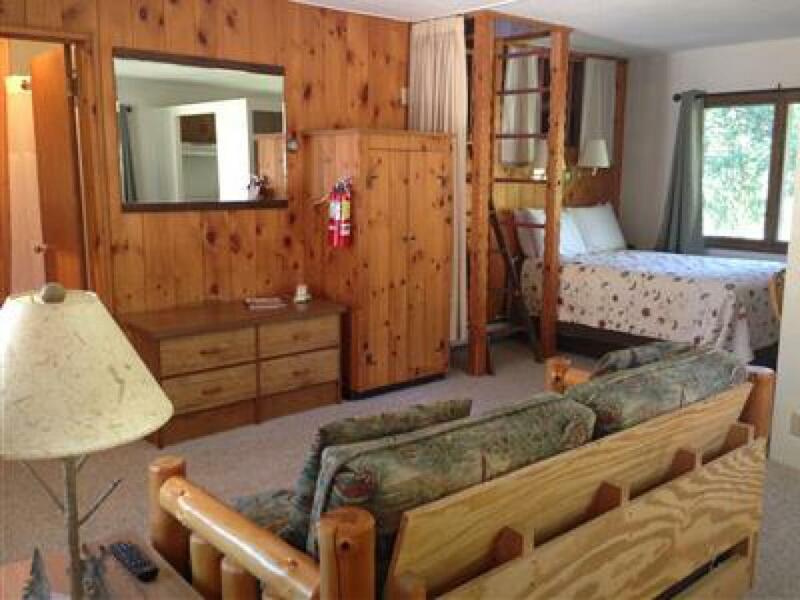 Firewood must be purchased on site for an additional fee, full kitchen and bath with a queen murphy bed. 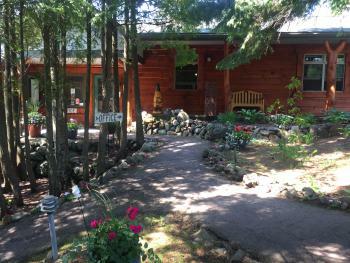 A short walk down the path, to the front of our main building, leads the way to our large grounds. 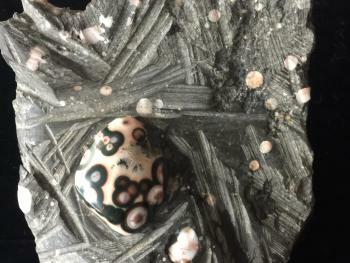 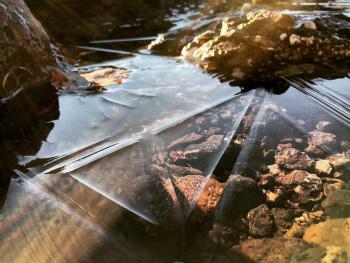 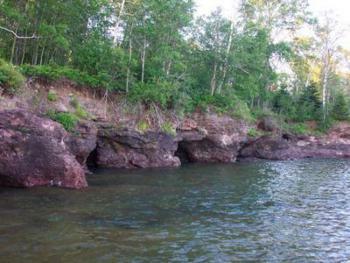 Make sure to go hang by the ever changing Lake Superior. 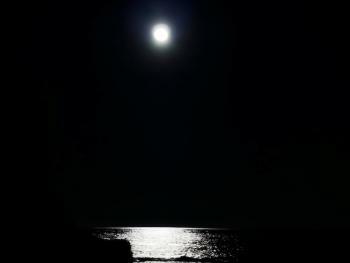 It's an awesome and unforgettable experience. 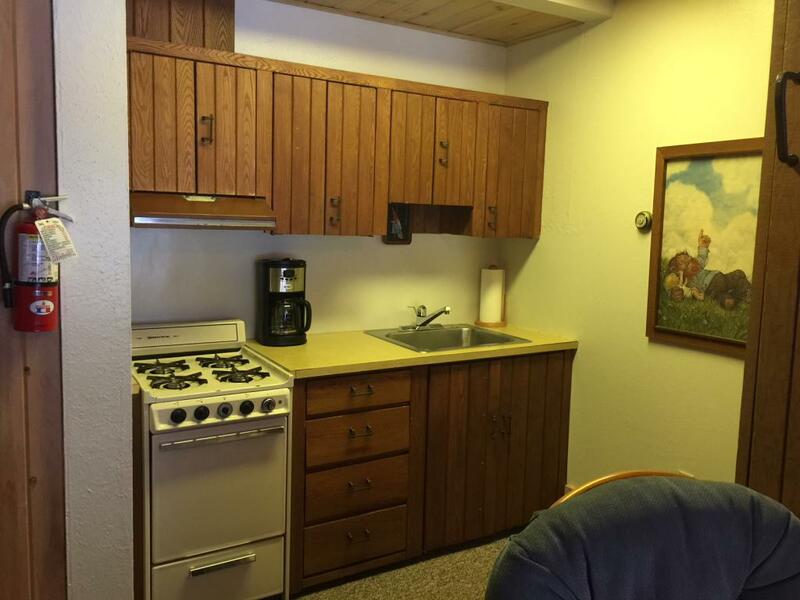 For our long time guests, this unit may be recognized as the location of the Feigal's jewelry workshop. 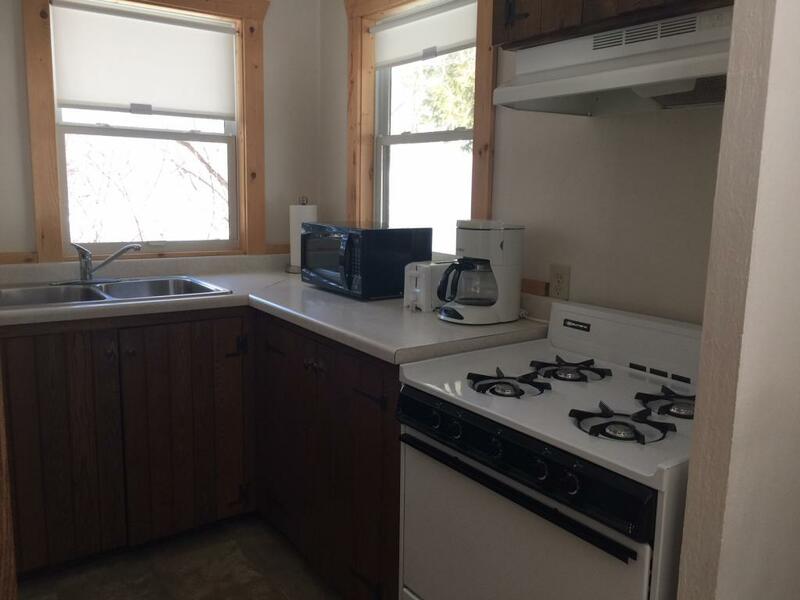 Since then it was converted into a spacious unit with a wooded view that includes a queen size bed, shower/bath, microwave, refrigerator, TV, telephone, and coffee maker. 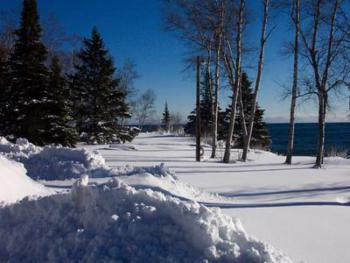 Just a short walk down the path,leads the way to our large grounds and the ever changing Lake Superior. 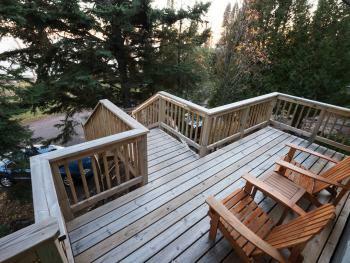 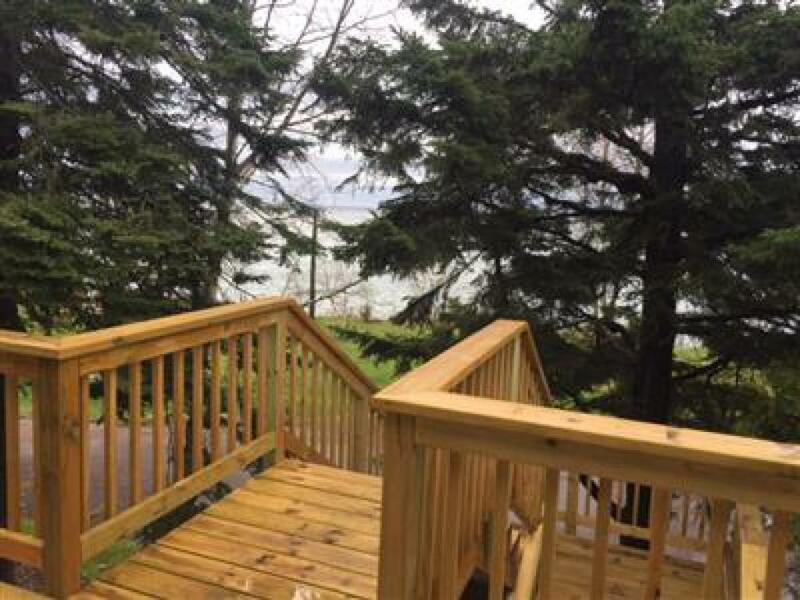 Enjoy your Lake Superior view from the privacy of your own deck. 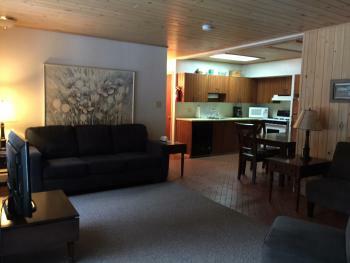 This unit is located in the center, upper level of our main building. 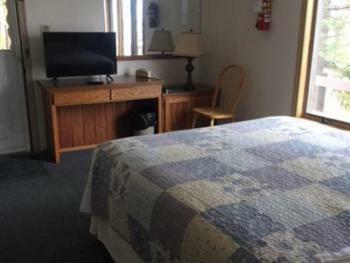 It is equipped with a queen size bed, full bath, microwave, refrigerator, TV, telephone, and coffee maker. 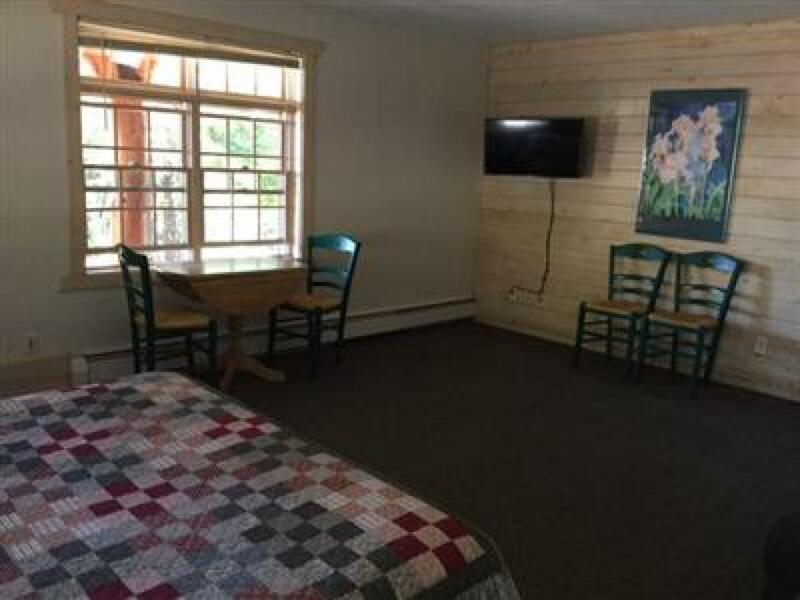 Remember to savor the scenery sitting on the deck, in the room or head to our large grounds and find a comfortable spot to hang. 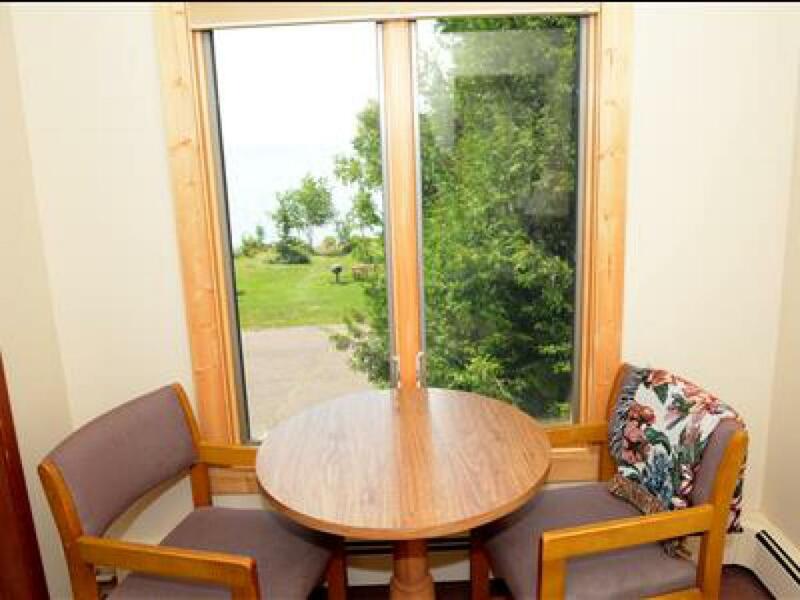 There are plenty of views of Lake Superior from this upper corner level unit in our main building. 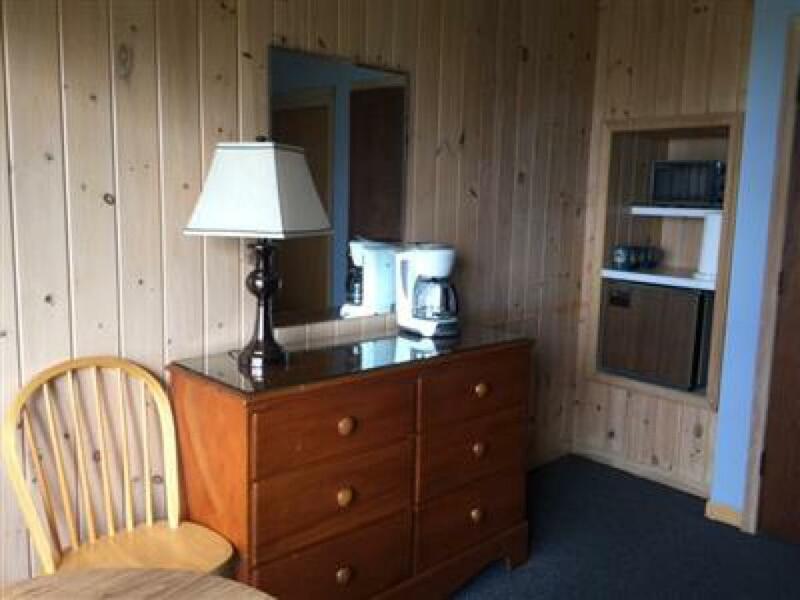 Enjoy the sights from the dinette table and chairs, the queen size bed, or vanity area. 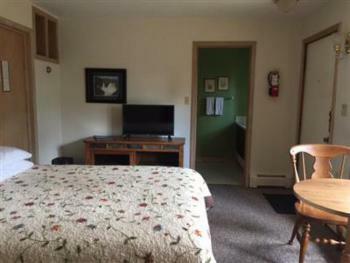 This room is equipped with a full bath, microwave, refrigerator, TV, telephone, and coffee maker. 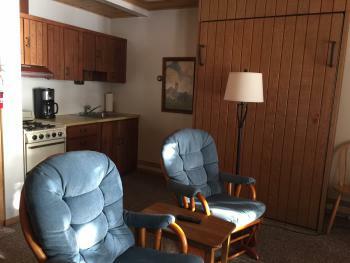 Remember to savor the scenery sitting on the deck adjacent to this unit or head to our large grounds and find a comfortable spot to hang. 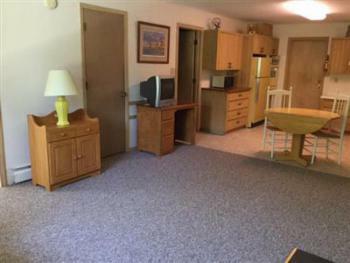 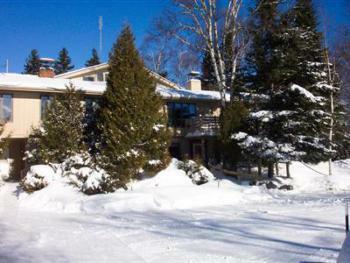 This unit is on the upper level of our main building with a beautiful view of Lake Superior. It has a queen bed in one room and two twin beds in another room, a full bath, microwave, refrigerator, TV, telephone, and coffee maker. 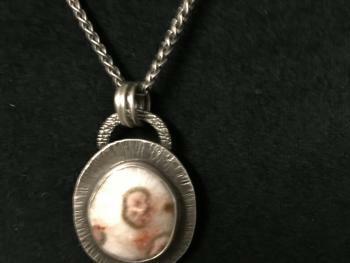 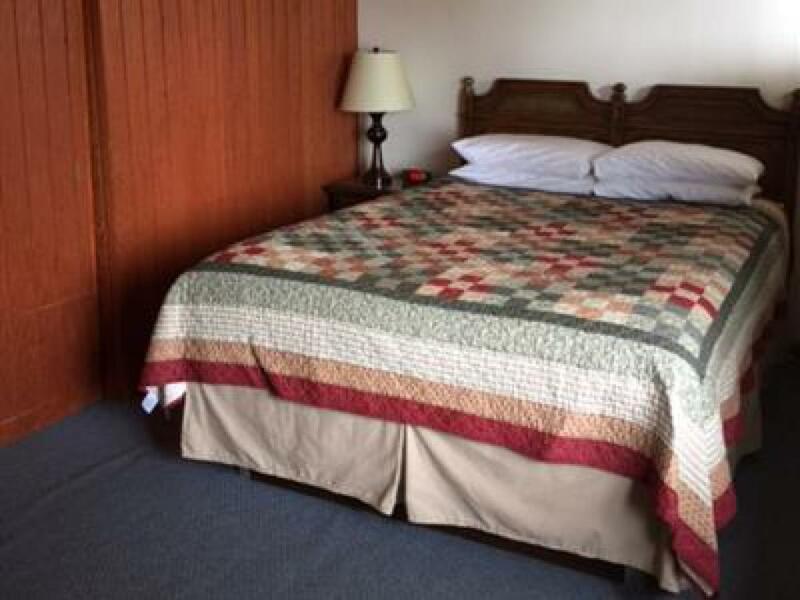 This is a favorite of many of our guests. 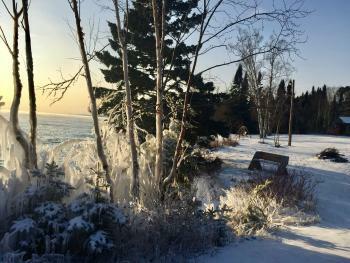 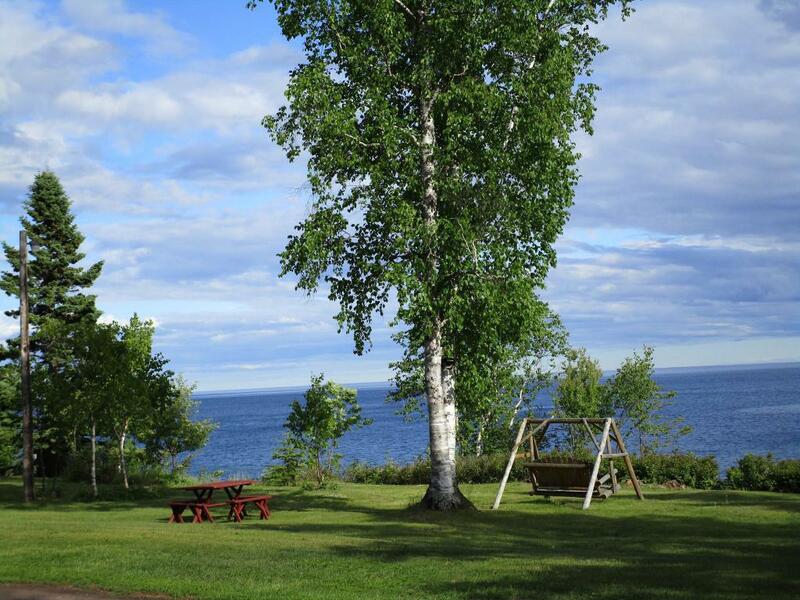 It has a spectacular view of our grounds with Lake Superior and its shoreline only 60 yards away. 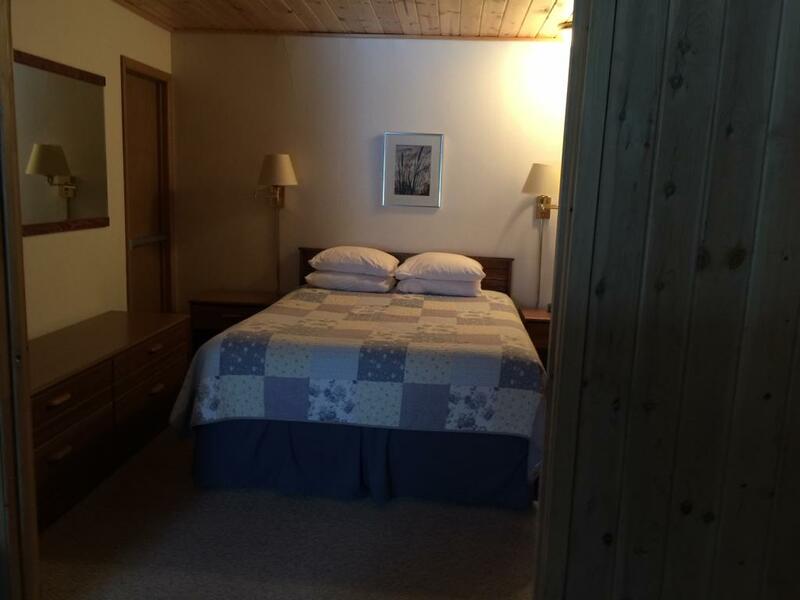 It is equipped with a queen size bed, full size murphy bed, kitchen, full bath, TV and telephone. Another gorgeous view of Lake Superior is out your window and a couple Norwegian Troll pictures cover the walls. There is a queen size bed and murphy bed with a full bath, kitchen, TV and telephone. 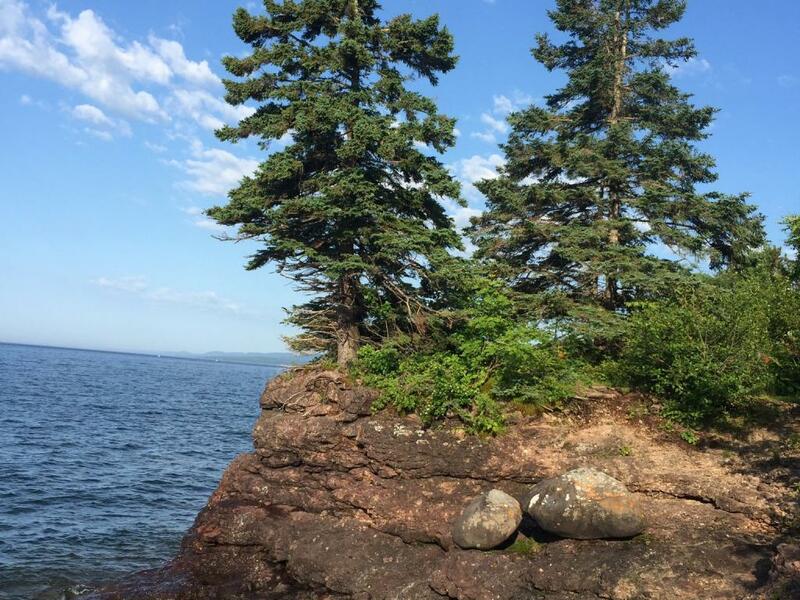 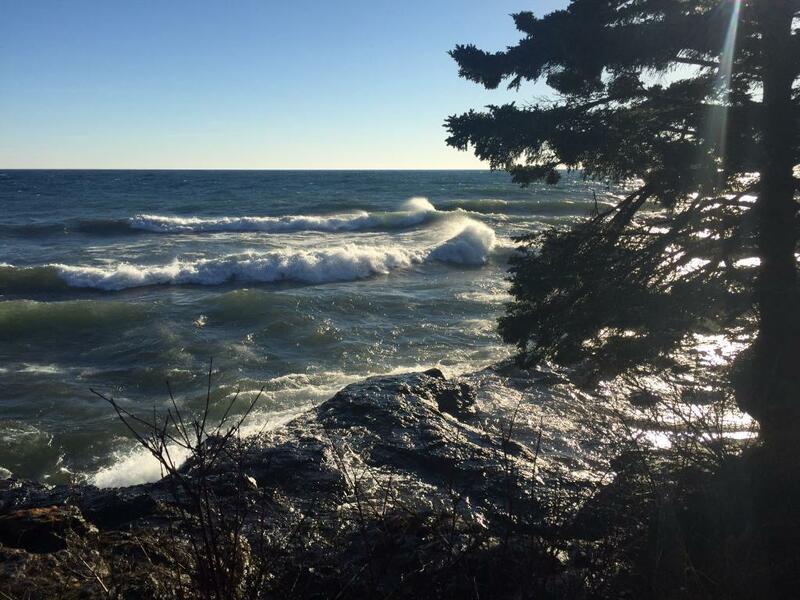 A stroll to our Lake Superior shoreline is only 60 yards away. 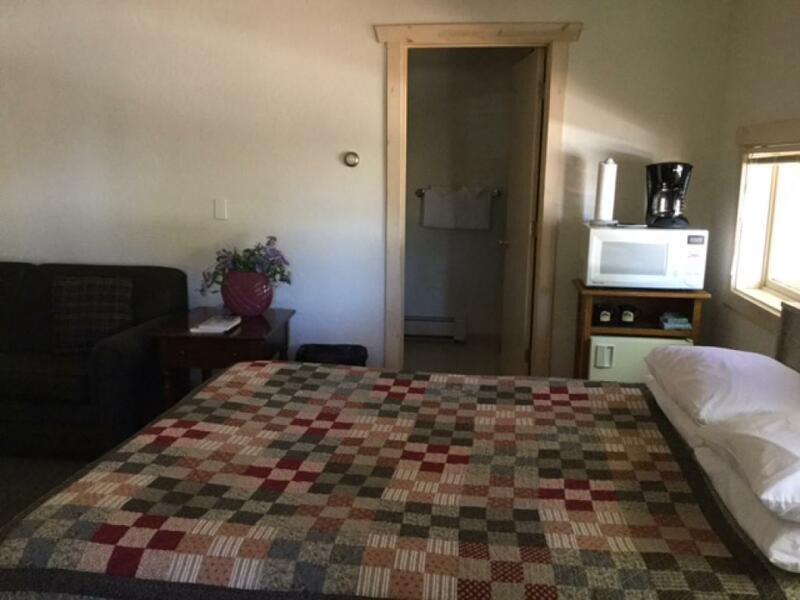 We are noted by our guests as a hidden lodging gem with a wealth of knowledge of our area. 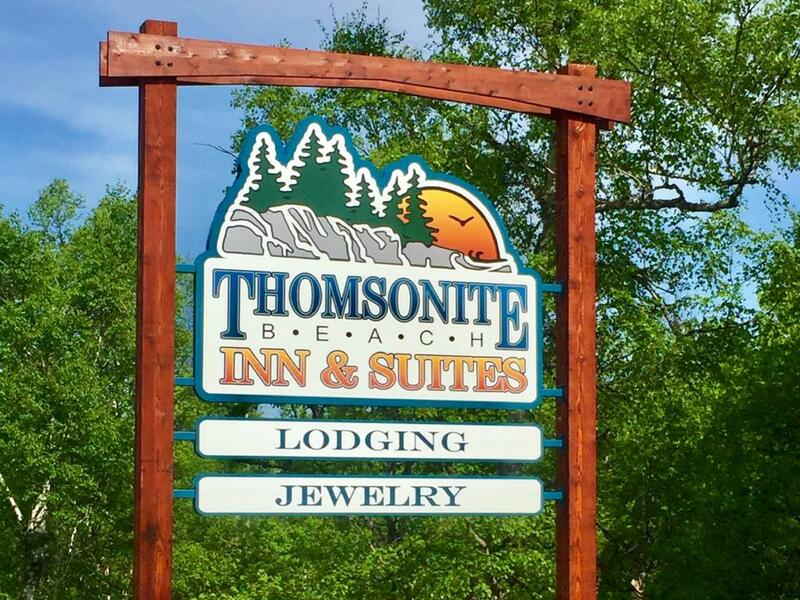 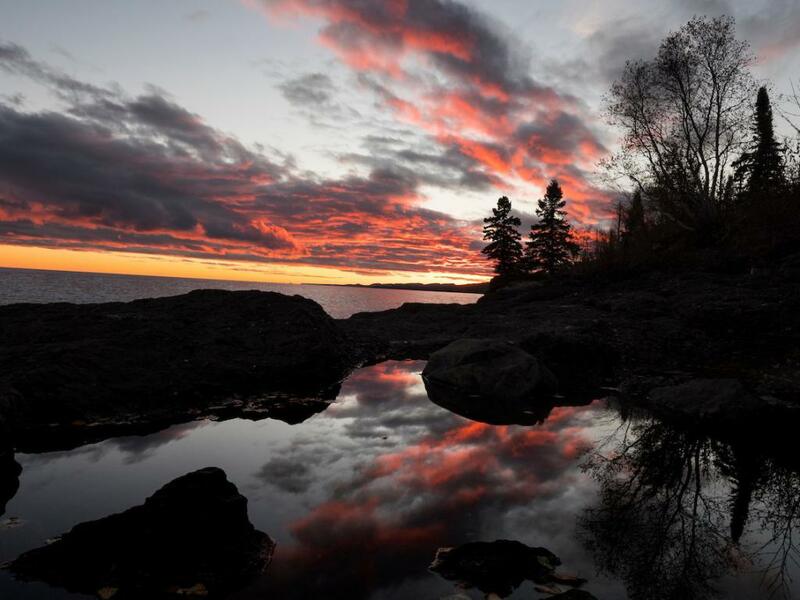 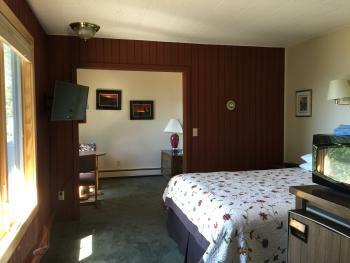 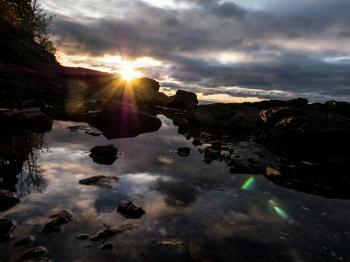 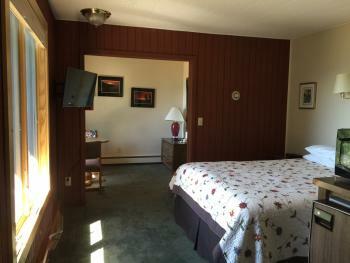 A family owned Inn, nestled on 500 feet of Thomsonite embedded Lake Superior shoreline. 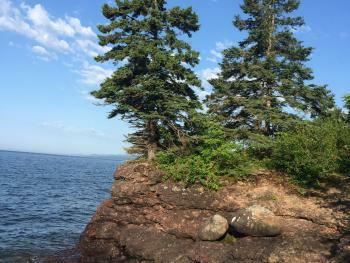 One of the best combinations of natural ledge rock and adjacent grassy grounds to take in the splendor of the "big lake". 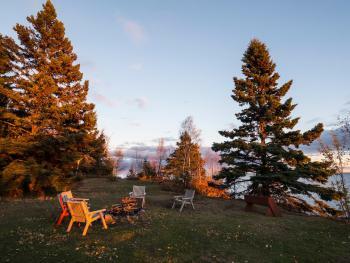 Enjoy some quiet time, a picnic, bonfire, starry or moonlit night right out your door. 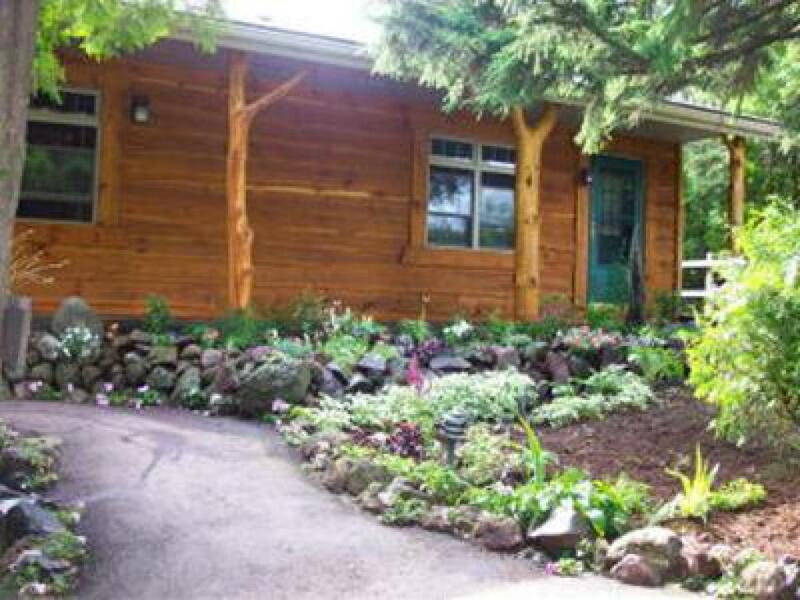 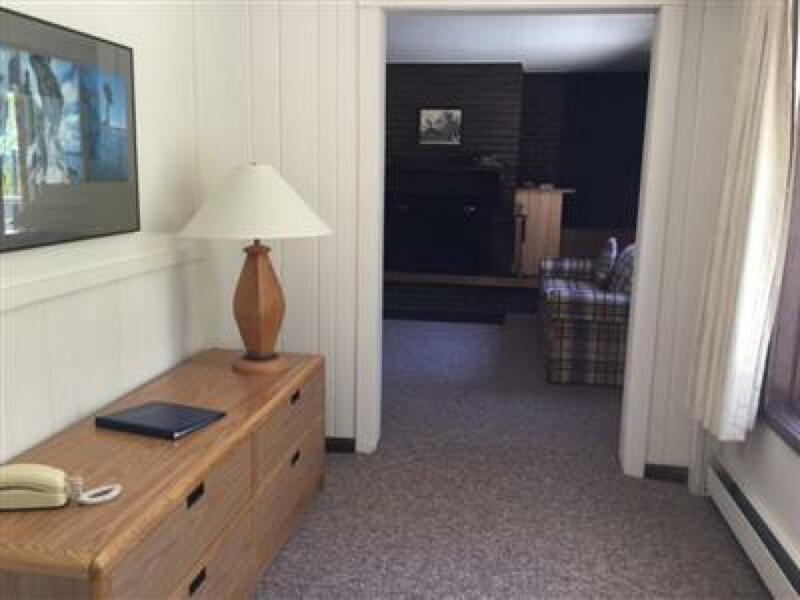 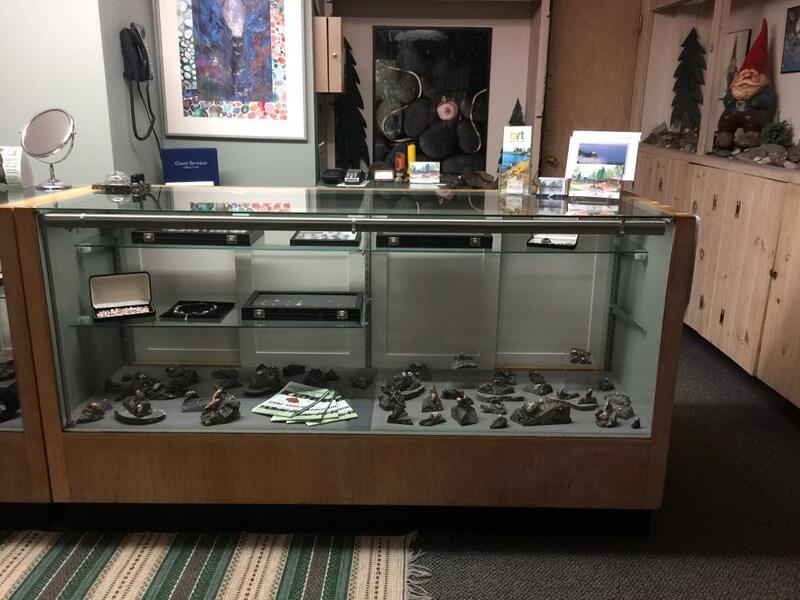 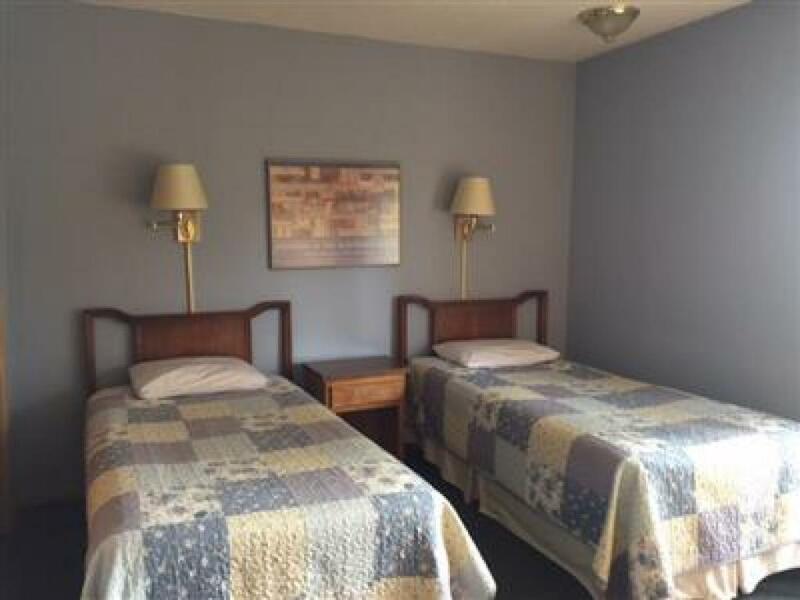 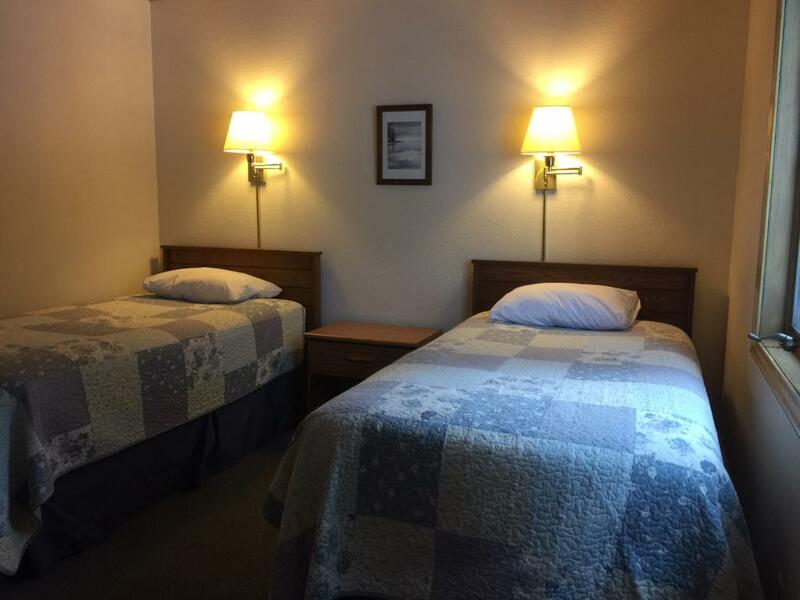 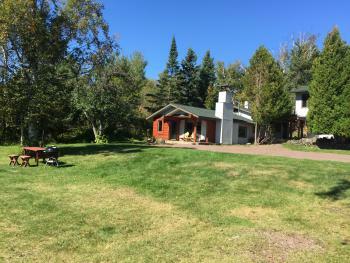 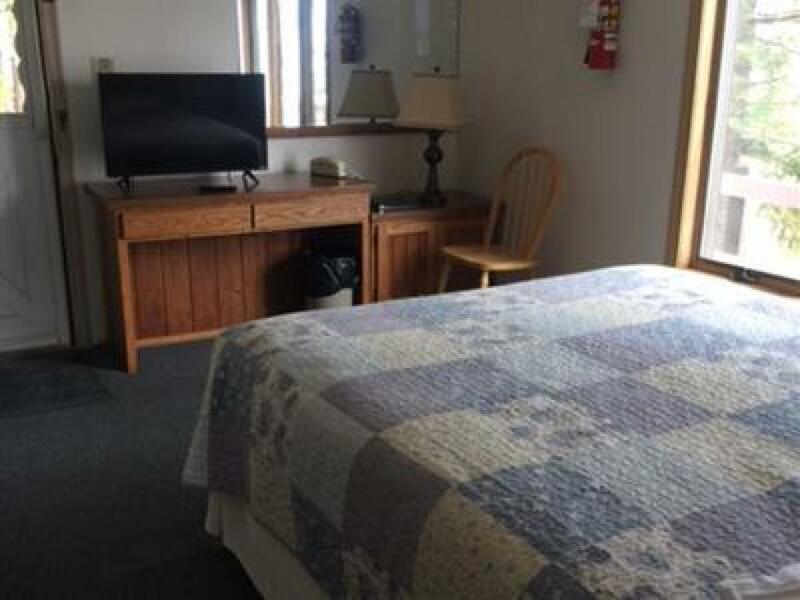 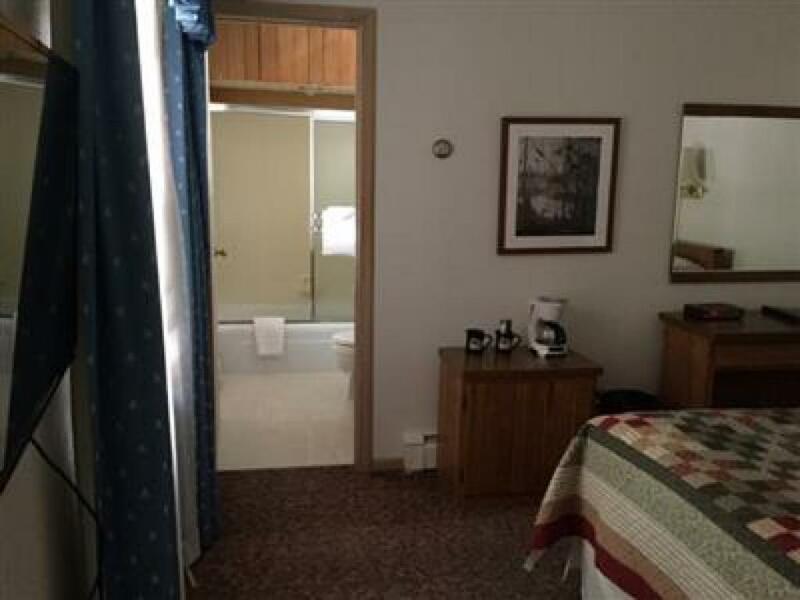 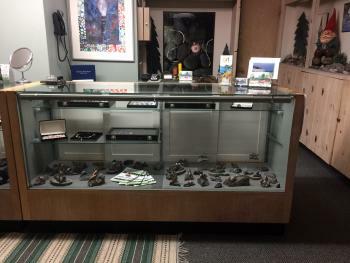 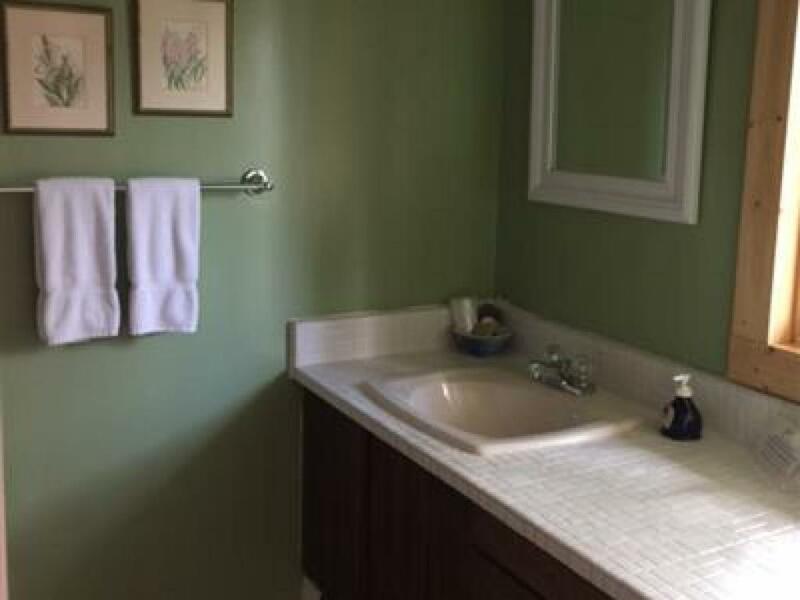 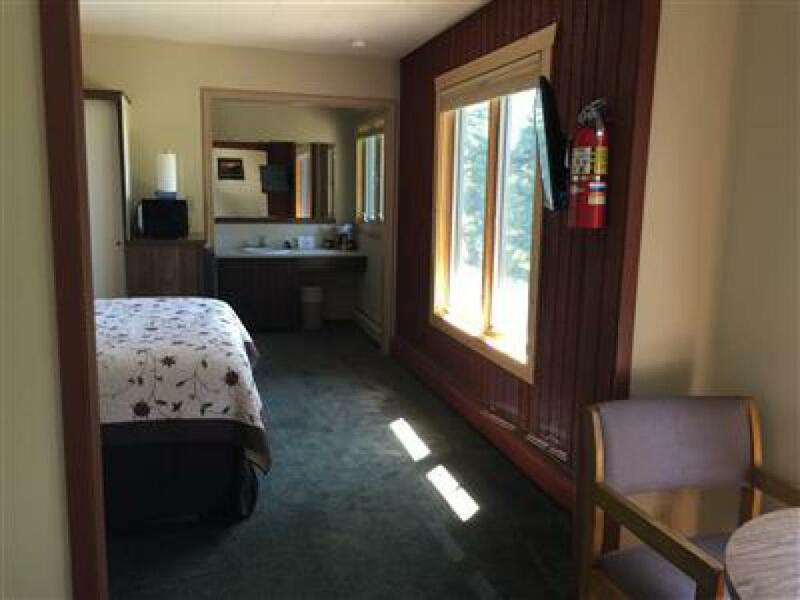 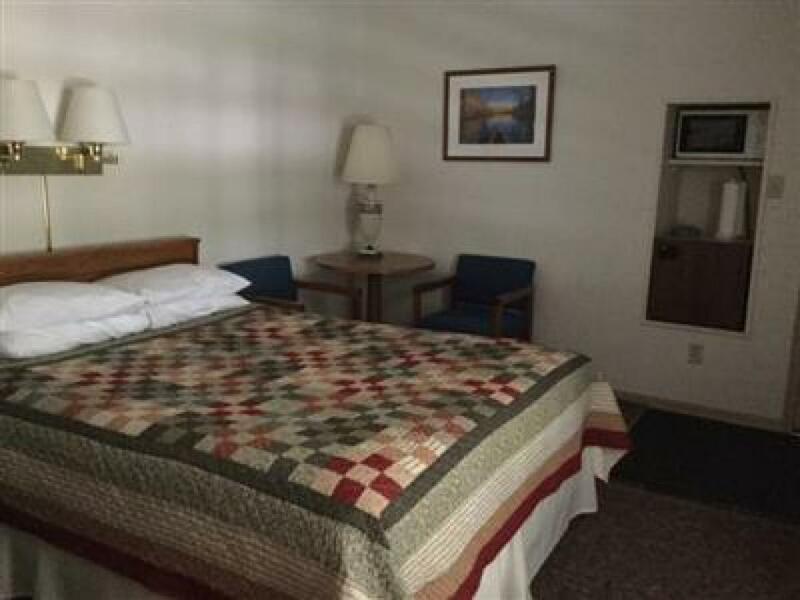 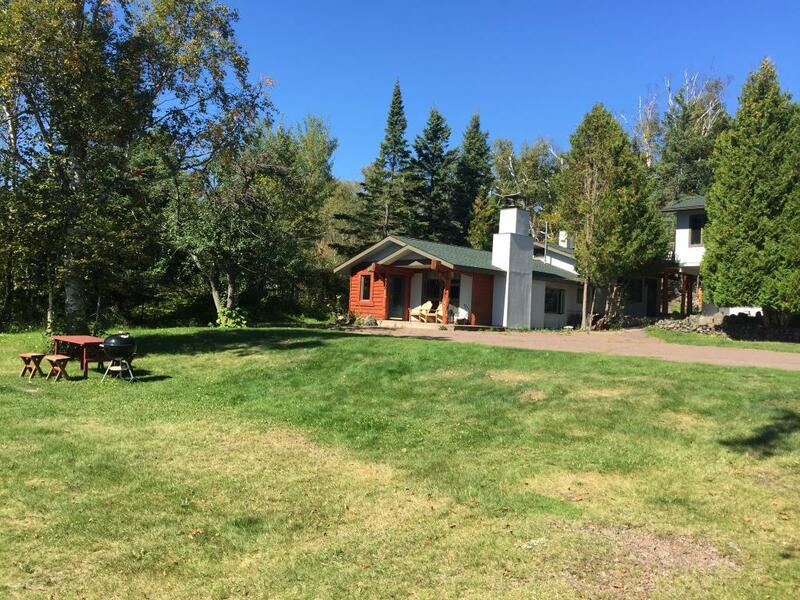 A great location with easy access to Grand Marais or Lutsen, a variety of state parks, Superior Hiking or biking trails, as well as, inland lakes. 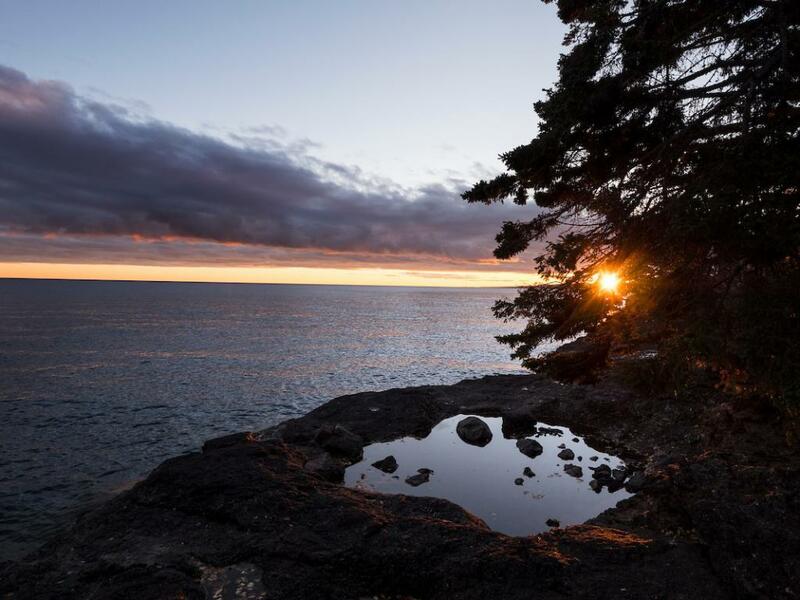 We are in Cook County which is loaded with outdoor adventures, activities and experiences listed below. 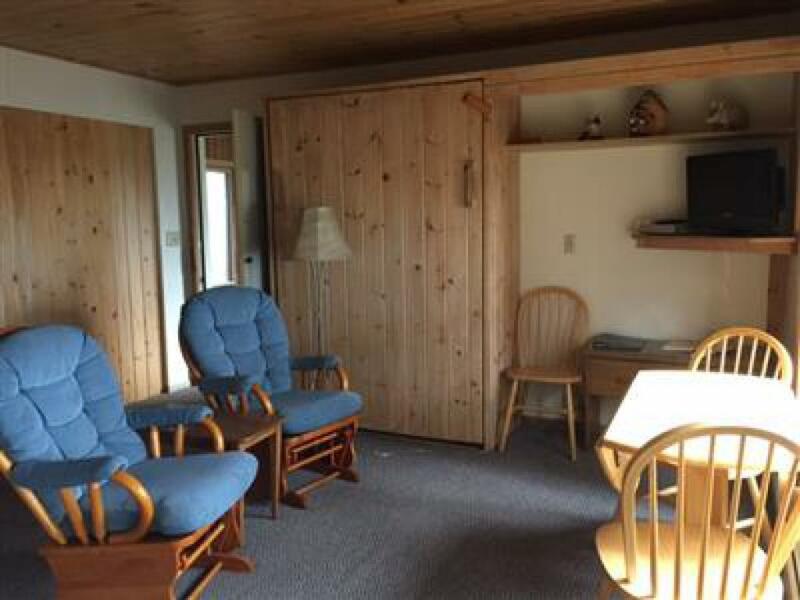 Cozy and clean lakeside accommodations. "So Close You Can Feel the Spray ~ So Comfortable You Can Feel at Home". 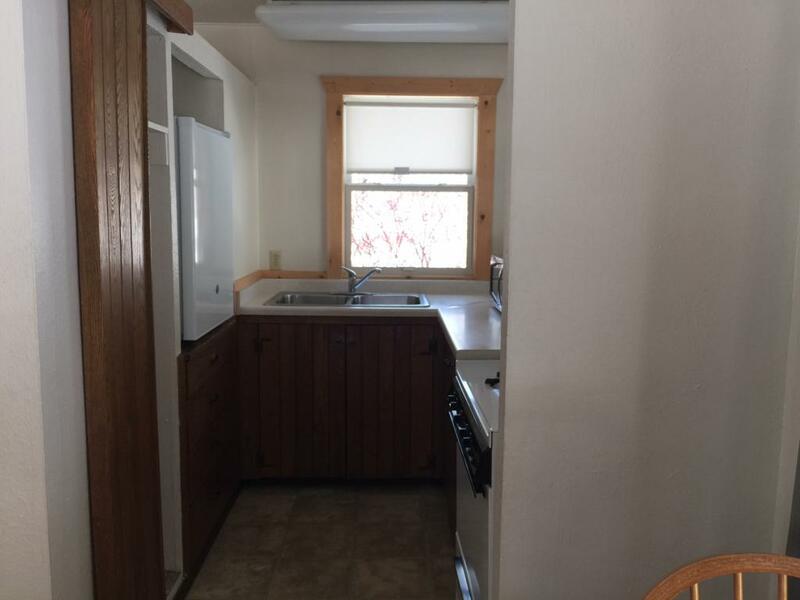 You will love where we live. From Minneapolis/St. 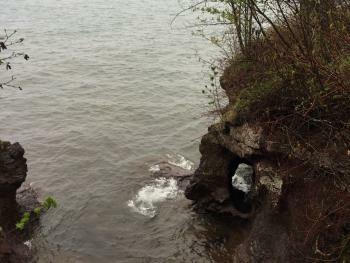 Paul, follow I-35 through Duluth to the freeway exit for Hwy 61/North Shore Drive. Stay on hwy 61 through the town of Lutsen. 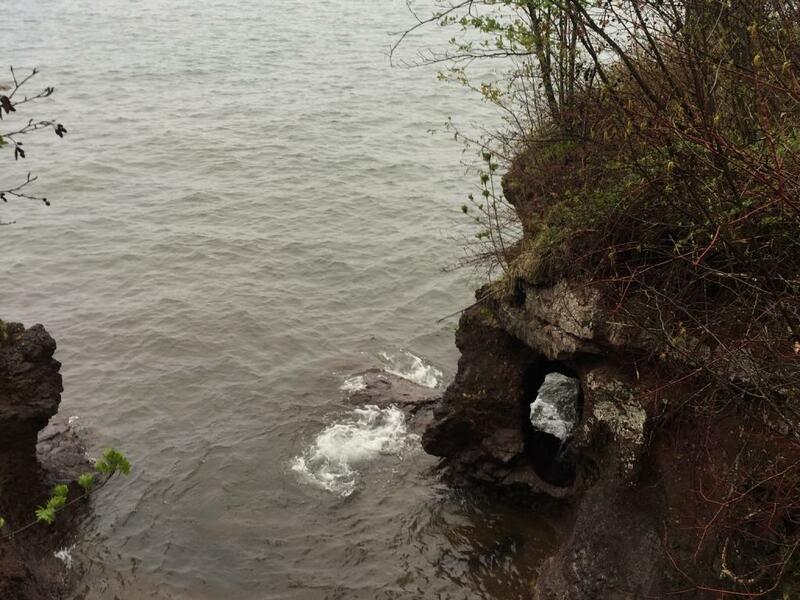 We are located approximately 1/2 mile past mile marker 103 on the lake side. 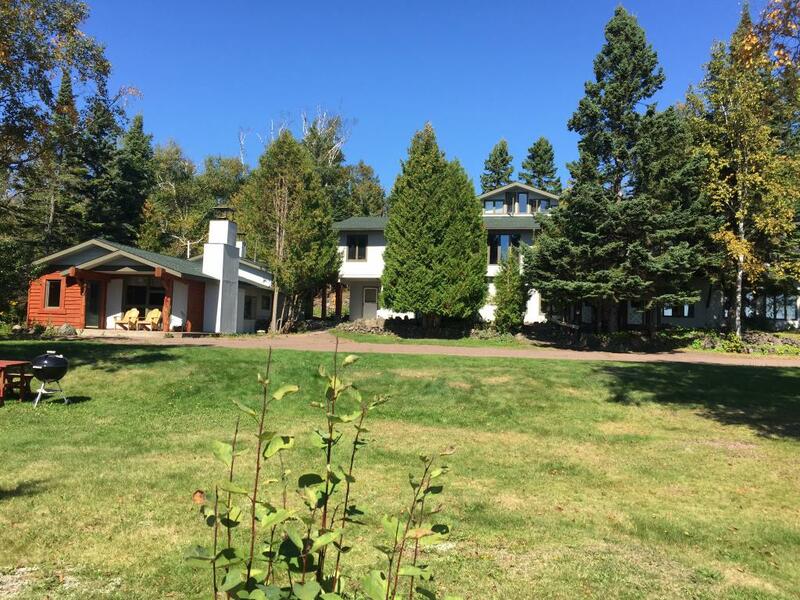 Turn right into our driveway at 2920 West Highway 61. 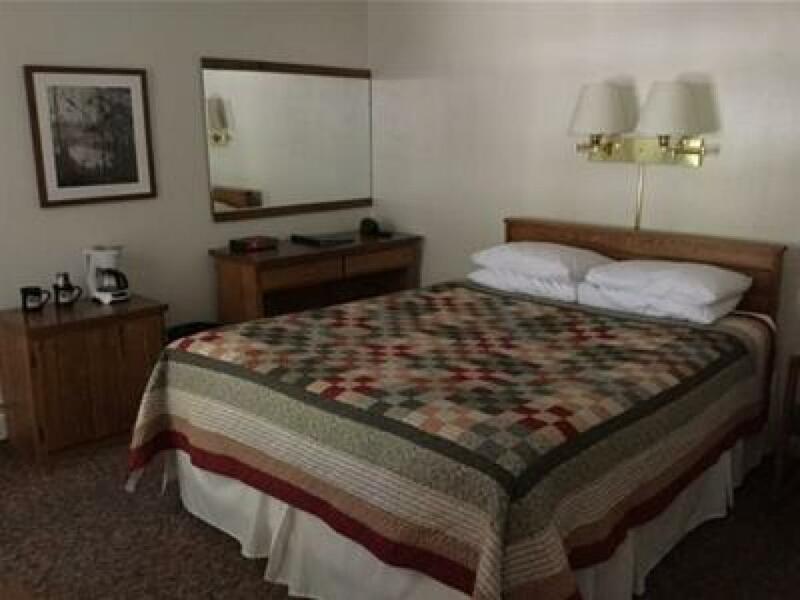 Total driving time from Minneapolis/St. 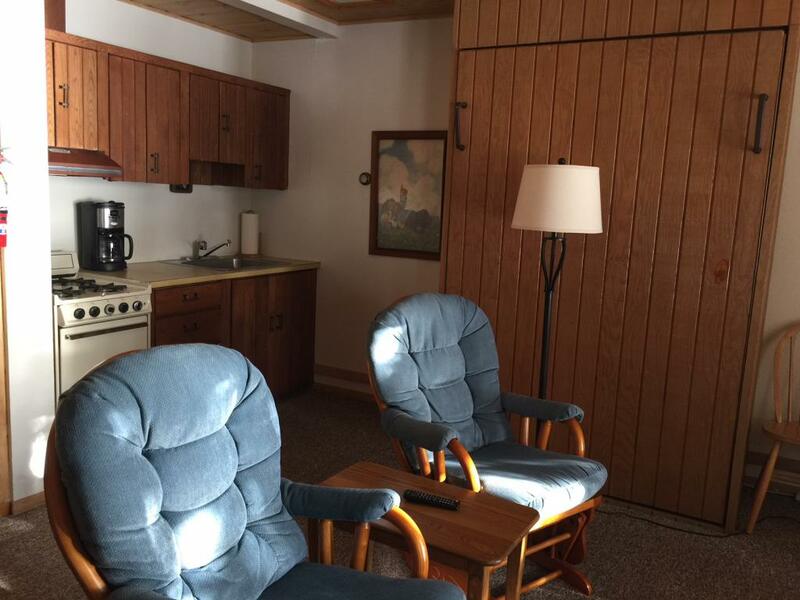 Paul is approximately 4.5 hours.